As the fog started rolling in very quickly this morning on the beach, I snapped a few pictures of the shell lines at Blind Pass. I found these shells above in a matter of 5 minutes. The FLORIDA CONE was a little beat up but still…. a cone. I found the ones below rolling right up in the surf. The first sand bar from the Captiva jetty looking at Sanibel is getting pushed closer to the bridge. Yep, I said “first” sand bar! It’s splitting into several bars. Take a look at the furthest sheller. She is on the tip of the big sand bar. Now take a look at this new little bar. Now look at a 3rd little “flat” right behind it. You can see the pelicans hanging out on it. The fog really came in quickly when I met these two winter locals (they go back to PA in the summer) shelling the surf with their shelling backhoes. They were just getting started so I hope they found good treasure. The fog bank covering the view of that little sand bar behind Janet. Tina found TRUE TULIPS, BANDED TULIPS, FIGHTING CONCHS, WHELKS and others that she’ll take back to Ohio to make all sorts of shell crafts like mirrors and frames. She really loves the shells that are old and pitted as well so she’ll pick them up when they show interesting character. This reminded me of a great quote from Bart Starr we heard on the way home from a Super Party last night… “Next to love, the strongest word in our vocabulary is attitude“. Can you pick me up a lace murex??? I’ll be by in June to pick it up…totally kidding, of course! I hope to score some time at Blind Pass in October. It’s really hard to find a parking place sometimes, even in the off season. So hard to wait every year for that one week I get of exclusive beach time!! We get a Sanibel parking permit for our vacation and it’s worth every penny, even though we only come for 7 – 10 days. There are permit-only spots in the Turner lot. Nothing beats the freedom of the parking permit! If you visit every year, you might even be able to use the same permit two years in a row, if you time it right. We were there this past Saturday and were amazed at the changes in the sandbars! Came home with many treasures!! Oh! For some reason I especially love todays pictures! Love the quote, Pam!!! And those shells are so pretty!!! Really Really Nice!!! WOW…the sandbars are amazing! Who knew? Will be interested to see how this develops. Loved your quote from Bart Starr, yes attitude is a powerful word. The Packers played with alot of heart and attitude last night. Looks like interesting shelling ahead for those of you Lucky Ducks on Sanibel and Captiva! Has anyone heard if Blind Pass is going to be re-dredged anytime soon? I have fond memories of waiting at the other end of the dredging pipe in 2009 for all kinds of goodies to emerge! Sanibel is the best place ever. Nothing gets better to be honest. I will be making my trip down there on April 30th. I can’t wait. This site is helping the time pass until I’m in paradise once again. I will be going to a meeting this week held by the county to give us all an update on what they will be doing about Blind Pass closing up. I have been reporting about the awesome shelling there over the past months but the closing has really been devastating to our waterway no to even mention the tax dollars that were spent to open it up such a short time ago. When I know something, I will keep you informed. Thanks for asking. You can always park on the Sanibel side & walk the bridge over. The way the pass is going you can probably just walk across the sand bar. Unfortunately, it looks like it is closing up which isn’t good news for the bay that the water flows in & out of. We need the water flowing in & out to keep the enviroment in the bay waters healthy. I was supposed to go to Blind Pass on Saturday but all my buddies back out on me. I just couldn’t stand it & drove the 1 1/2 hours to get there early Sun am @ 5:30am. Believe it or not there were 2 peeps on the sand bar already. Believe me, if you go try to hit an early low tide and get there before the sun comes up to beat the crowds. It is well worth the effort. Nothing like the sounds of the beach waking up. Are the other two sandbars accessible? Your last two posts have been amazing! The shells seems soooo abundant right now! Love those orange scallops. Your Junonia must be right around the corner! Where do you get the permit. Really good idea. That was fun, waiting for the shells to come rolling out of the dredging pipe! I went almost every day. You can buy them at the Sanibel Recreation Center. The cost for Non-Resident parking permit is $90 for “B”, $90 for “C”, or for a whopping $180 you can park at “B” and “C” lots. You can see where “B” and “C” parking lots are at http://www.iloveshelling.com/blog/parking/. Just to warn you, in high season March and some days in April, there are days (like holidays or spring breaks) when there aren’t any spots available…not even resident spaces. It’s like the mall parking at Christmas time. You’ve got to get lucky or just get there early or wait until very late. This doesn’t happen very often, but I just needed to let you know if that’s what you were counting on and I didn’t want anyone upset if they tried it for that time. Otherwise, it might be worth it if you are here for a while or like Bird said…can use it 2 Years. You were here on an amazing time at Blind Pass. I love those days when the shells rush at your feet. 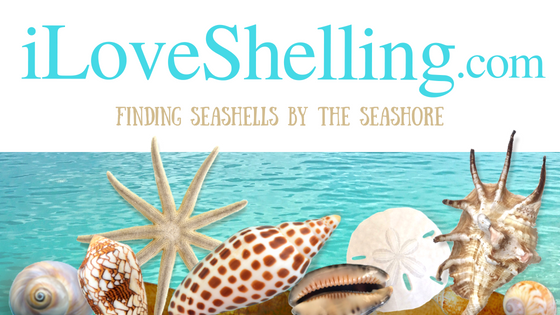 I made an iloveshelling app for my IPhone. Just open the website in Safari and hit the arrow at the bottom of page. Save to homepage and voila, our favorite site is always there! Yes, I saw a really tall guy walk across with about thigh high rushing water. I had to leave before he got back to see what he got- darn! I did it! I didn’t even have that on my phone…. well, I actually didn’t know I could. Thank you Ellen!! This is video of the dredging from 2009. It is quite a process. Pam, I have read in several places now that March and April are crazy busy on Sanibel and Captiva. I’m curious… is it because it is Spring Break or because there is something fabulous for seashell lovers? Do I need to plan a trip during that time because of something amazing going on on the island? The Sanibel Shell Fair and Show is March 3-5 this year and has been in March for 74 years but Feb/March/April is just our ” high bseason”. People are tired of the cold and want to fly south to get in the warm sunshine. Yes, it’s spring beak too and it’s when all of the snow birds fly south and all are here at one time. And again, yes, the shelling is fantastic too. All of the above. It’s crazy! After reading the comments I’m worried about our visit mid-March (17th-20th). We (husband and I) are only staying in the area 3 nights. We aren’t staying on the island (its way over our budget–unless anyone has a couch we can crash on-lol) and will have to drive onto the island each day. At this point I’m wondering if we should even try…sounds like the parking will be impossible. We’ve never been to Sanibel, but maybe we should wait to visit during the “off-season” Thoughts? Tips? Suggestions? I know there is no place as fabulous as Sanibel, but what would be 2nd best and maybe more accessible? Oh my gosh! This shouldn’t worry you at all! It is sooo much fun on the islands and St. Patty’s day weekend is not a holiday that makes people to rush to Sanibel. :) Everything is relative in what people think is “crazy” busy it can be very different. Yes, the parking some times is a bit harder but you have to understand… we don’t have traffic 9 months out of the year… so any traffic is big traffic to the island. 1) Don’t plan on leaving the island around 3:30/4:00 most days in late March or April especially around Easter. 2) Get to the beach early for parking or wait until around noon but I really don’t thin kyou’ll have problems that weekend. People are coming and going all the time. Just be patient and wait 5 minutes for someone to leave. It is sooooo worth it. 3) Certain beaches have more parking. The lighthouse has 3 lots this is closest to the causeway so there are more poeple there, Gulf side City Park has lots of parking and Bowman’s is a huge lot. 5) Just relax and don’t try to rush anything…. stay on “island time”, mon. 7) Have a wonderful time! If I stay off the island I like the LaQuinta right before the Sanibel Causeway. They have a nice pool & jacuzzi. The rooms are decent & they have a free breakfast. They run some awesome deals. For me it’s just a place to shower and sleep till the next low tide. You are also close to the road that goes to Barefoot Beach & Lover’s Key – nice shelling beaches too. The low tides are very early the days you are coming so those are great Blind Pass days. I got there at 5:30 am & had the sand bar all to myself. I had no trouble getting a parking spot :) You have to go early or the beach gets walked and you miss the goodies. Go early – you won’t be sorry. Bring a flashlight too. Thanks Ladies…we are early risers so getting to the beach early shouldn’t be a problem. I was wondering about the La Quinta. Sounds like thats where we will stay. Looking forward to our trip. Okay, so I’m finally getting to Sanibel again in April, with everyone else, but it doesn’t matter….I can’t wait! I can’t wait! I can’t wait! Bought the tshirt. I can’t wait! A 2 foot horse conch? The world record is 24 1/2 inches and is at the Shell museum in Sanibel. Maybe you should measure it again.